Finish ahead of deadlines with fast boot and response times. See multimedia, online videos and 3D applications* running smoothly at native frame rates. Expand your view. 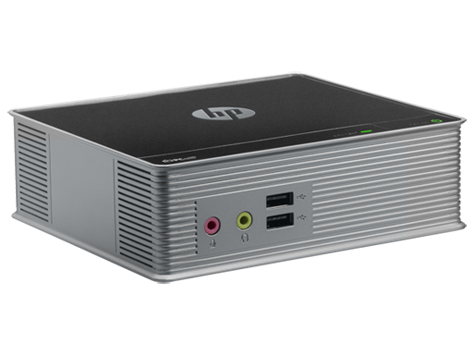 The HP t310 supports dual displays** for multi-tasking and fine-tuning media projects. Cut maintenance needs on desktops. Upgrade users quickly and inexpensively by updating application software hosted on servers. 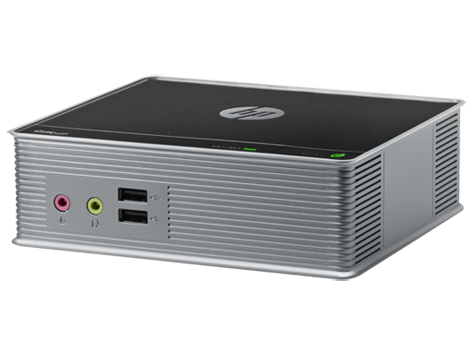 Minimize security risks—with no data stored on the HP t310, your intellectual property stays safe on the server. Boost security measures even more with the fiber network interface card (NIC). The small size (5.9 in/149.8 mm x 5.2 in/132.1 mm) keeps your work area free of distractions. 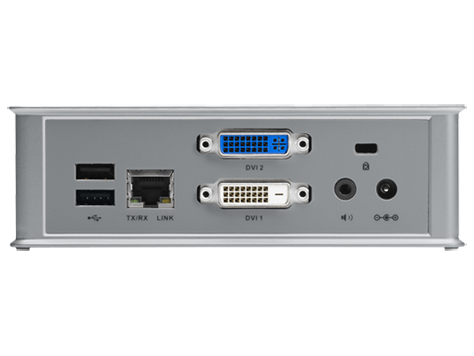 1 DVI-D, 1 DVI-I with resolutions up to 1920x1200 at 60 Hz or single digital display at resolutions up to 2560x1600 using a custom DVI dual-link cable.